The purpose of this article is to provide a summary of St Athanasius’ treatise On the Incarnation highlighting important themes with respect to his Soteriology and Christology. 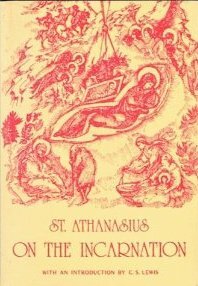 The Incarnation is for St Athanasius the historical event par excellence, in which the Word manifests His salvific work. In demonstrating the purpose of the Incarnation, he provides or rather requires on the part of his audience, a thorough understanding of the nature of the universe and its cause. St Athanasius emphasises the impermanence of creation, and herein lies a fundamental characteristic of his entire approach – one that is thoroughly ontological and cosmological. St Athanasius provides a wonderful tapestry of cosmic order and refutes pagan notions of creation in order to set the necessary basis of the existential and cosmic dimensions of salvation which find fulfilment in Christ: “the renewal of creation has been wrought [he writes] by the Self-same Word Who made it in the beginning”. For St Athanasius, God through the Word created the universe out of nothing and amongst all earthly creatures, the human person is preeminent. The human person created in God’s Image is bestowed with a grace other creatures lack, and provides the means of receiving the blessed life of the saints in paradise. However, due to Adam and Eve’s transgression, God’s conditional promise of immortality and incorruptibility was forfeited, and as a result, the death and corruption prevailed in humanity. It is in this process of corruption that St Athanasius is able to identify humanity’s natural corruptibility in the absence of God’s grace. Having been brought into existence out of nothing, natural law i.e. the law of death, dictates humanity’s return to nothing. It is for this very reason that St Athanasius says God assumed a human body i.e. in order to free humanity from the self-imposed inevitability of death. In what appears to be a “pendulum” of the free will, St Athanasius emphasises two extremes i.e. one of non-existence and the other eternal existence in the Word. In beholding the image of the incarnate Word of God, the church grows into the same image; consequently, it reflects the glory of God in the world by means of its various gifts of ministry. Furthermore, and what is perhaps the sine qua non of St Athanasius’ basis for human redemption, is the substantive and essential renewal of human nature, effected by the Incarnation. As mentioned in the outset of this essay, because of the primal transgression, humanity forfeited the grace which enabled a blessed life in communion with God. Consequently, the capacity for eternal life was revoked and due to the ontological gap between God and humanity, the later was menaced by the return to non-existence. The corruption that had set in human nature, writes St Athanasius, was not external to the body, but “woven into its very substance and dominating it as though completely one with it”, and was thus in need “ for Life to be woven into it instead”. He further goes on to write that had death been kept from humanity by a mere command, it would still have remained mortal and corruptible, according to its nature. This substantive and essential renewal of human nature appears to constitute the foundation for humanity’s recreation as St Athanasius puts it. 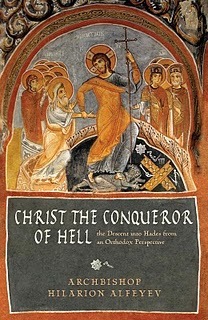 Khaled Anatolios writes that “It is Christ’s reception of grace – or, more specifically, Christ’s human reception of the Holy Spirit on our behalf – that is seen as the ultimate “securing” of grace.” He also writes that it is “Christ Himself, who becomes the source of our receptivity by virtue of his humanity, and the perfector and securer of his receptivity by virtue of his divinity”. This view is justifiable, considering St Athanasius’ repeated remarks on humanity’s failure to preserve the grace given by God. I would like to close by remarking on the notion of grace in St Athanasius’ treatise On the Incarnation. Within his treatise he approaches and explicates the Word’s Incarnation from several perspectives and is able to successfully convey that it is a once for all, decisive event, by which the situation of mankind is fundamentally altered, and the whole of the future given a new shape. His discussion on grace is only given specific treatment before he delves into the Incarnation and is expressed as a contemplative and participative life in God. This is particularly unusual considering his ontological perspective, especially, in light of our prior discussion on the apparent essential and substantial renewal of humanity effected by the Incarnation. One would expect St Athanasius to have given a broader treatment of grace after his discussion on the Incarnation, having introduced it as a major theme at the outset of his work. Perhaps, a better understanding is gained if one approaches the problem not in terms of what is known to be received, but in terms of the purpose of what has been received. We have already mentioned the exchange formula as the ultimate grace i.e. deification, and I think by a further analysis of what this entails we may be able to gain a richer understanding of St Athanasius’ cosmology and anthropology. Saint Athanasius. On the Incarnation. Translated by A Religious of C.S.M.V. Crestwood, New York: SVS Press, 1993. Saint Athanasius. Against the Arians. A Select Library of Nicene and Post-Nicene Fathers of the Christian Church Volume IV. Translated by Philip Schaff and Henry Wace. Grand Rapids: Wm. B. Eerdmans Publishing Company, 1975. Anatolios, Khaled. ‘The Soteriological Significance of Christ’s Humanity in St. Athanasius’, St. Vladimir’s Theological Quarterly (1969): 265-286. Aquino, Frederick D. The Incarnation: The Dignity and Honor of Human Personhood. Abilene, TX, July 17, 1997. Costache, Doru. 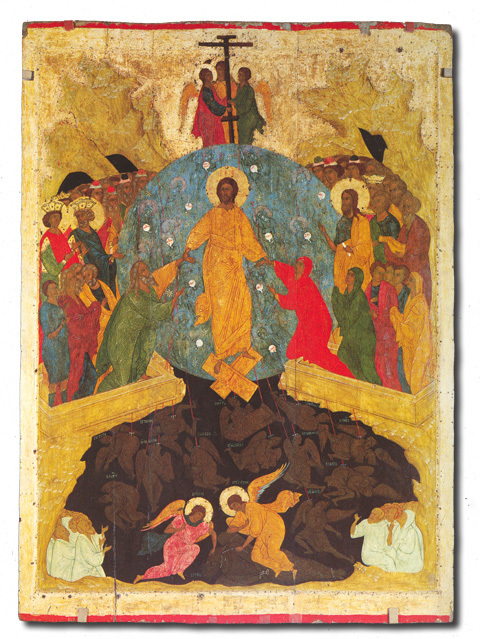 The Inner Side of the Visible: Apostolic Criteria and Spirit in the Orthodox Tradition. Constanta: Editura Arhiepiscopiei Tomisului, 2006. Keselopoulos, A. Creation of the World in Man and the Environment: A Study of St Symeon the New Theologian. Crestwood: SVS Press, 2001. Louth, Andrew. “Athanasius’ understanding of the humanity of Christ”. Studia Patristica. vol. 16. Berlin: Akademie Verlag, 1985. Russell, Norman. The Doctrine of Deification in the Greek Patristic Tradition (New York: Oxford University Press, 2004). Weinandy, Thomas G. “Athanasius: The Incarnation and the Soul of Christ”. Studia Patristica. vol. 41. Louvain: Peeters, 2009. The Western Tradition predominantly views the crucifixion as salvific, not the incarnation. Leading up to his view on the nature of creation, St Athanasius argues against the Platonic view that God used pre-existing matter to create all things, for it imputes limitation to God. To the Epicureans he appeals to the diversity of creation and likens it to somewhat of a “theological school”: “For, indeed, everything about it is marvelous, and wherever a man turns his gaze he sees the Godhead of the Word and is smitten with awe.” Cf. Saint Athanasius, On the Incarnation, trans. by A Religious of C.S.M.V (Crestwood, New York: SVS Press, 1993), 26-27, 93. Saint Athanasius, op. cit., 26. Keselopoulos in his study of St Symeon the New Theologian confirms this view as consistent among the Fathers of the Orthodox tradition and writes that the “theology of the Fathers of the Orthodox tradition is an organic development of the biblical teaching …” Cf. A. Keselopoulos, Creation of the World in Man and the Environment: A Study of St Symeon the New Theologian (Crestwood: SVS Press, 2001), 14. Scripture was for St Athanasius the determining criterion for various doctrines and consequently featured in much of his polemical works. Saint Athanasius, op. cit., 28. Saint Athanasius, op. cit., 30. Humanity had fallen away from the contemplation of God and had given themselves entirely into sin and idolatry. Their senses had been given over to the created order and were blinded by their sin. St Athanasius writes that the Incarnation was an illumination, the cure for humanity’s blindness: “the Word of God in His great love took to Himself a body and moved as Man among men. Meeting their senses …”. Christ’s miracles captured the attention of humanity on humanity’s terms, resulting in the latter’s newly found knowledge of God. Cf. Saint Athanasius, op. cit., 43. Saint Athanasius, op. cit., 32. Writing on the nature of Orthodox ecclesial tradition, Rev. Dr. Doru Costache refers to three Christologically-grounded criteria which pervade it: Godmanhood, communion and deification. These criteria are present throughout St Athansius’ defence of the divinity of Christ and his explication of salvation and Christology. Another aspect of tradition according to Costache, is its composition of the unchangeable spirit or dogmata and the mutability of the letter or kerygmata. St Athanasius does not hesitate to employ Pagan conceptions of God in order to refute and transfigure them. For instance in his refutation to the Gentiles, St Athanasius takes the Stoic doctrine of logos spermatikos which pictured the universe as wholly permeated by a cosmic logos in order convince them that God has extended His presence by uniting Himself with a human body. Cf. Saint Athanasius, op. cit., 32. Moreover, we see in the figure of St Athanasius the embodiment of the immutability of dogmata. Despite spending a significant part of his life in exile, he did not waver and eventually his views were ratified by the Church. Twentieth century scholarship has cast a dark shadow on St Athanasius’ Christology because of his lack of attention to the humanity of Christ. Such allegations however, have no weight when judged according to Orthodox tradition. Cf. Doru Costache, The Inner Side of the Visible: Apostolic Criteria and Spirit in the Orthodox Tradition (Constanta: Editura Arhiepiscopiei Tomisului, 2006), 386-391. St Athanasius uses the metaphor of a King in explaining the assumption of flesh as supremely worthy of the Goodness of God: “A king who has founded a city, so far from neglecting it when through the carelessness of the inhabitants it is attacked by robbers, avenges it and saves it from destruction, having regard to his own honour than to the people’s neglect”. Saint Athanasius, op. cit., 36. Far from suggesting aloofness by Christ, he consistently refers to God’s love for humanity in both the act of creation as well as the Incarnation. The Word was not circumscribed according to St Athanasius by the assumption of the human body and refers to it as an instrument in what appears to be a paradoxical statement: “His body was for Him not a limitation, but an instrument, so that He was both in it and in all things, and outside all things, resting in the Father alone”. Cf. St Athanasius, op. cit., 45. Using terminology such as instrument (ὄργανον), St Athanasius does not in any way undermine Christ’s humanity. In his Against the Arians III, he writes concerning Christ’s works:”These things were so done, were so manifested, because He had a body not in appearance, but in truth; and it became the Lord, in putting on human flesh, to put it on whole with the affections proper to it” (32). Thomas G. Weinandy succinctly expresses St Athanasius’ view on the humanity of Christ in defending him from those who accuse him of neglecting the human soul of Christ. Cf. Thomas G. Weinandy, “Athanasius: The Incarnation and the Soul of Christ”. Studia Patristica vol. 41. Louvain: Peeters, 2009: 265-273. St Athanasius’ paradoxical dialect resembles that of St Ignatius’ in his letter to the Ephesians: “…Being incorporeal, He was in the body; being impassible, He was in a passible body; being immortal, He was in a mortal body; being life, He became subject to corruption, that He might free our souls from death and corruption, and heal them …” There is no evidence to support that St Athanasius used St Ignatius as a source, however, it is evident that the two saints represent the same tradition. Cf. Ignatius, To the Ephesians, 7. St Athanasius enumerates humanity’s consistent failure to respond to God’s salvific work prior to the Incarnation: they failed to see God in His works of creation and they ignored the law and the prophets. Cf. St Athanasius, op. cit., 39. Those critics who attack St Athanasius for not ascribing a human soul to Christ and accuse him of being an Apollinarian are refuted by St Athanasius’ Against the Arians III, in which he emphasizes the totality of Christ’s humanity: “And he became man, and did not come into man”; appealing to Scripture he writes: “for the ‘Word’, as John says, ‘became flesh’ (it being the custom of Scripture to call man by the name of ‘flesh,’…” (30). Furthermore, in chapters 31, 34, 52-57 of Against the Arians III, St Athanasius writes concerning the weaknesses of Christ as man, e.g. passibility, fearfulness, mortality and increase all of which imply the presence of a human soul and intellect. Atonement for St Athanasius is only one aspect of the mystery of the Incarnation. Anselm of Canterbury’s answer to Cur Deus Homo as “satisfaction”, i.e. that God became man in order to satisfy the divine justice wounded as a result of the fall, through crucifixion covers only one part of the truth. Cf. Wikipedia, “Anselm of Canterbury”, 1999, http://en.wikipedia.org/wiki/Anselm_of_Canterbury. Accessed 16 September 2009. St Athanasius, op. cit., 33. St Athanasius, op. cit., 46. St Athanasius, op. cit., 45. Andrew Louth picks up on Grillmeier’s observation that St Athanasius makes use of the Stoic analogy that the Logos is present in the universe as the soul of a man is present in his body. Cf. Andrew Louth, “Athanasius’ understanding of the humanity of Christ”. Studia Patristica vol. 16. Berlin: Akademie Verlag, 1985: 309-318. St Athanasius uses the metaphor of the sun to describe the healing process effected by the assumption of flesh: “Just as the sun is not defiled by the contact of its rays with earthly objects, but rather enlightens and purifies them, so He who made the sun is not defiled by being made known in a body, but rather the body is cleansed and quickened by His indwelling …” St Athanasius, op. cit., 46. St Athanasius, op. cit., 49. In what appears to be a allusion to baptism, St Athanasius writes of the “appropriation” of Christ’s body and the “clothing” of human nature with incorruption. St Athanasius, op. cit., 34-35. Cf. Norman Russell, The Doctrine of Deification in the Greek Patristic Tradition (New York: Oxford University Press, 2004), 182. St Athanasius, op. cit., 93. 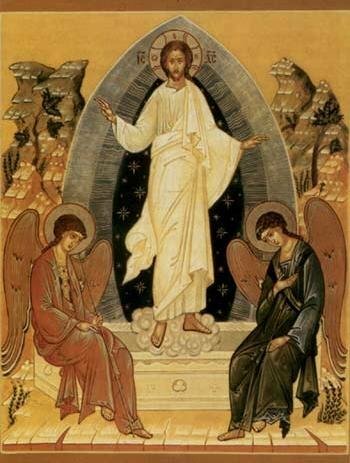 The Incarnation: The Dignity and Honor of Human PersonHood. Presented to the “Theology in Service of the Church” pre-conference of the Christian Scholars Conference, Abilene, TX, July 17, 1997, by Frederick D. Aquino p. 44. St Athanasius, op. cit., 81. St Athanasius, op. cit., 41. Khaled Anatolios, ‘The Soteriological Significance of Christ’s Humanity in St. Athanasius’, St. Vladimir’s Theological Quarterly (1969): 282, 286. “If they guarded the grace and retained the loveliness of their original innocence, then the life of paradise should be theirs …” p. 28.; “but if he [man] preserves that Likeness through constant contemplation, then his nature is deprived of its power and he remains incorrupt.” p. 30. Andrew Louth expresses his uncertainty in “Athanasius’ understanding of the humanity of Christ”. Studia Patristica vol. 16. Berlin: Akademie Verlag, 1985: 313. 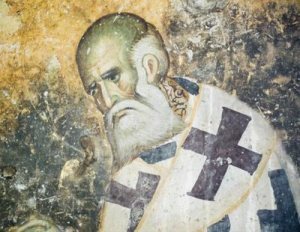 I believe that St Athanasius’ primary concern in his work is to convey the “incomprehensible” significance of the Incarnation in terms of humanity’s salvation, and thus does not delve with depth into the nature of grace effected by the Incarnation in terms of its anthropological implications. Furthermore he was engaged in a battle against the Arians who refuted the divinity of Christ, and thus, the humanity of Christ was not his primary concern. 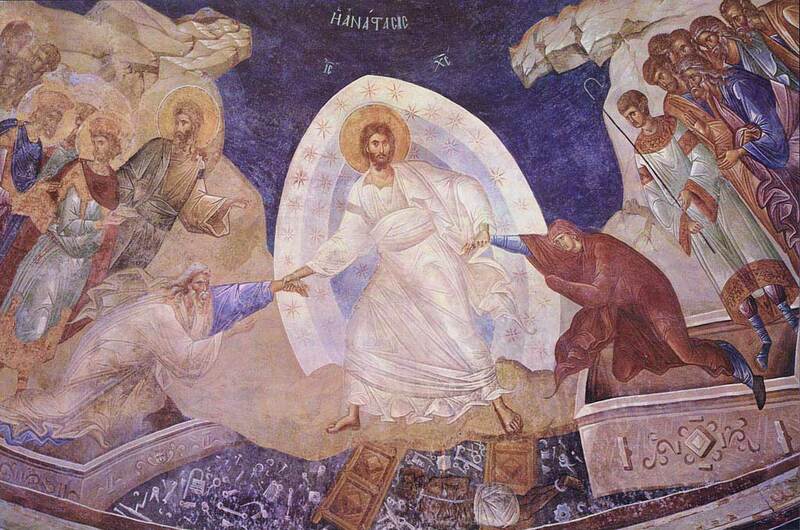 St Athanasius makes clear that deification is an ascent which begins in this life: “Now, therefore, when we die we no longer do so as men condemned to death, but as those who are even now in process of rising we await the general resurrection of all …” St Athanasius, op. cit., 37. Although St Athanasius’ treatise is historical, the brilliance with which St Athanasius narrates God’s providential work, leads the reader to ponder the eternal characteristics of this “masterpiece”. 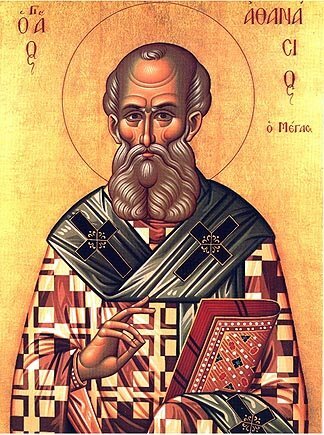 A broader survey of the Patristic literature with respect to deification will shed light on the extent of St Athanasius’ contribution and help us appreciate the depth of his theology which may not be entirely obvious through his written works. In the opinion of St Maximus the Confessor, the Incarnation was the primary purpose of God in the act of creation, which would as a result be realised even if man had not transgressed the divine will. One wonders if St Athanasius, in his exchange formula may have espoused such a view.